Pre-order the 2018 Supremacy compilation CD! Since making a hard-hitting impression on Raw Hardstyle lovers for the first time in 2014, Supremacy is recognised as one of the most significant gatherings for true die-hards of brutal and prodigious sounds. 2018 marks a special milestone for Supremacy – namely, its five year anniversary! And to celebrate, for the first time ever, fans will be treated with the ultimate Raw Hardstyle experience with an official compilation CD! 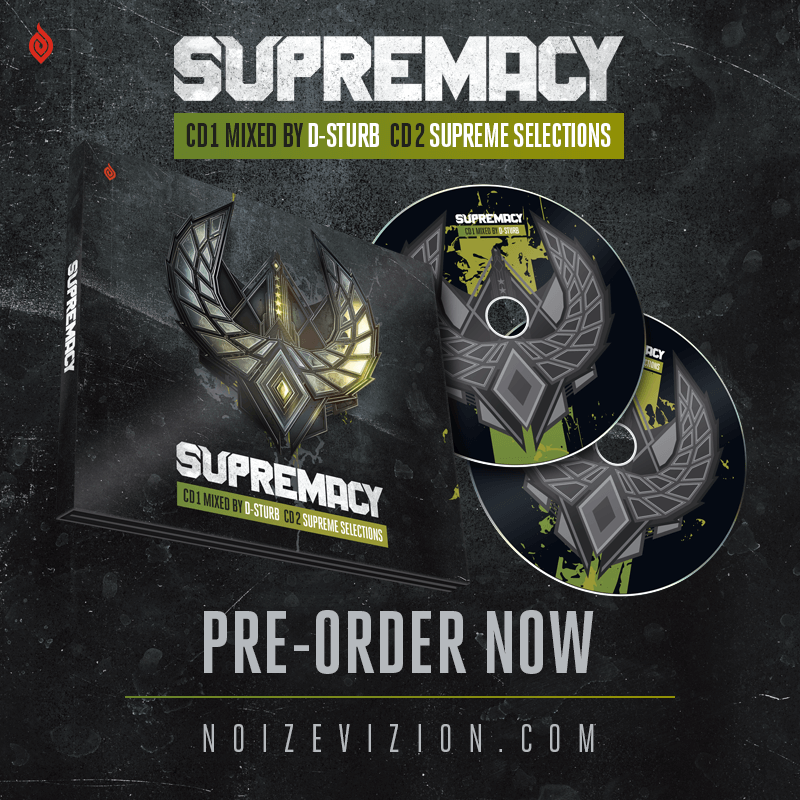 CD 1 of the Supremacy 2018 compilation is mixed by the rising star D-Sturb, who has experienced a tremendous year so far. Renowned for his blistering kickrolls and catchy melodies, this prodigious act promises an exclusive mix filled with new tunes from his studio, as well as from fellow colleagues. CD 2 goes by the name ‘Supreme Selections’ and contains the latest and greatest that Raw Hardstyle has to offer.